The US Treasury Department announced on April 6 that it was imposing sanctions against 38 Russian businessmen and senior government officials, including Oleg Deripaska, owner of one of the biggest aluminum producers – Rusal. The latest US economic sanctions against Russian businessmen have affected not only aluminum prices, but other metals too, reports the Bloomberg agency. Nickel prices have risen to a three-year high, gaining 5.4% on April 19. Aluminum alone has gained 7.1% and since the beginning of the month prices have risen 30%. The growth in prices for aluminum was justifiable as the market understood the extent to which Rusal had penetrated the aluminum market, explains Bloomberg's expert Mark Keenan head of Asia commodities research at Societe Generale SA. Rusal produces about 6% of the world's aluminum and thus it is one of the biggest suppliers in the world. However, Deripaska's business or any other sanctioned businessmen's is not directly tied to nickel production. While Mark Keenan suggests that Deripaska's 25% share in Nornickel, one of the biggest nickel producers in Russia, may be behind this, another Bloomberg expert Colin Hamilton believes it was just "misinterpretation" by the market. Keenan supports his idea by pointing to the fact that palladium, which is produced along with nickel, didn't see the same rise. Bloomberg itself suggests that traders might have speculated that other Russian mining and refining companies could face the same fate as Rusal, being struck down by sanctions. 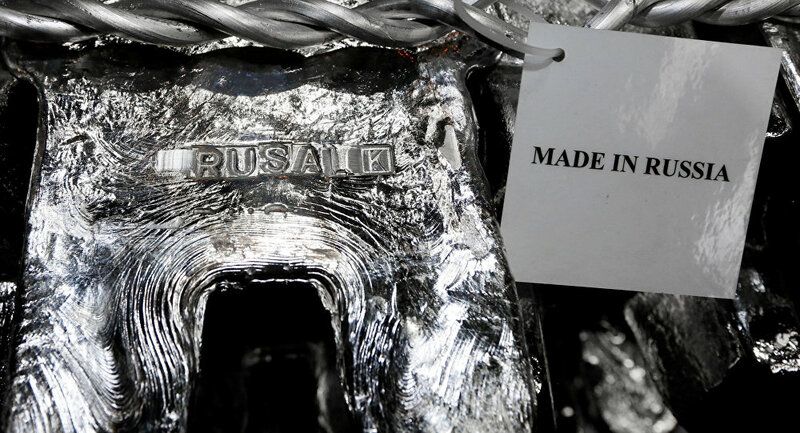 Rusal is Russia's biggest aluminum producer and one of the world's biggest suppliers of the metal as well as alumina. Its production is traded on the world's most prominent commodities markets. The company owns mines, refineries and smelters not only in Russia, but all over the world, for example in Ireland and Jamaica. Its aluminum is used in the production of all sorts of goods, ranging from cans to Boeing airplanes and Ford cars. On April 6 the US imposed economic sanctions on 38 Russian businessmen and senior government officials in response to an alleged poisoning attack on the country's former spy Sergei Skripal and his daughter in the UK. Oleg Deripaska's company Rusal has suffered the most from the recent sanctions. Sergei and Yulia Skripal were poisoned in the British city of Salisbury on March 4. The pair was found on a bench near a shopping mall in critical condition. UK officials, namely Foreign Minister Boris Johnson and Prime Minister Theresa May, have accused Russia of poisoning both with the A-234 nerve agent, allegedly produced in the USSR, although proper investigations of the incident have not been conducted. In a subsequent show of solidarity with the UK, several other western countries expelled Russian diplomats over the purported poisoning. Russian has denied all the accusations being levelled at the country and demanded access to the investigation materials in accordance with international law, as well as consular access to its citizens. However, those requests have fallen on deaf ears. Moscow later expelled the diplomats from those countries that joined the British punitive measures and ordered the British Council to cease its activities in Russia in response to London's move.